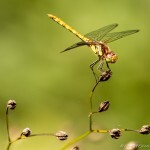 The photo called "female common darter perched on plant" is a free-to-use high resolution image. It is one of the many insects pics included in the Dragonflies photo gallery. 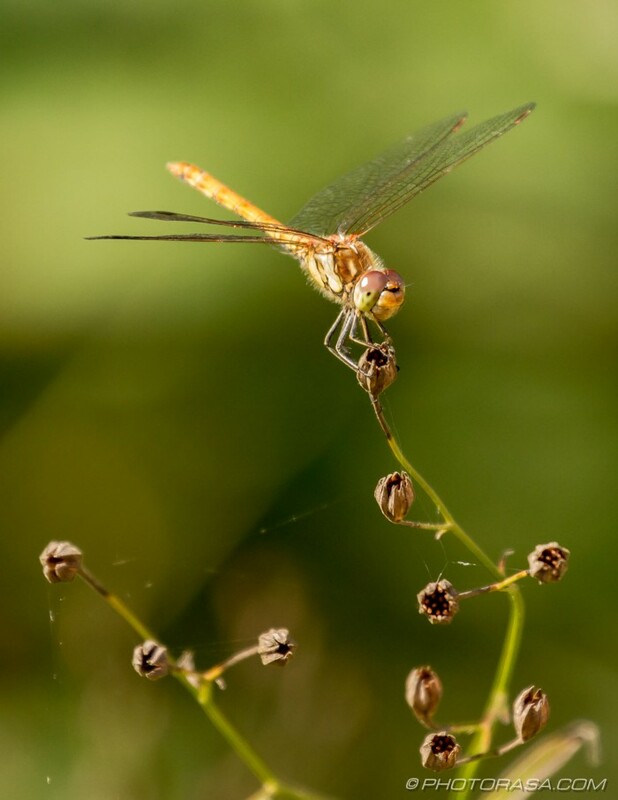 This collection and many others can be found in the Dragonflies and Insects section(s) of the Photorasa website. Open the image below to see it more sharply and clearly in a windowed lightbox. You can download the image to your pc, laptop, tablet or other device by tapping on the green button below it. A higher resolution image minus the watermark is available upon request. A collection of photos and picture galleries of insects from Photorasa articles. Insects are small animals with the typical characteristics of being arthropod invertebrates - ie they have no backbone and an outer protective shell, having 6 legs, 3 distinct body parts - a head, thorax and abdomen - and often also having one or two pairs of wings. They make for fascinating macro photography subjects due to their small size and intricate features that are only displayed under magnification. Insects are the most numerous animals on earth consisting of thousands of species and subspecies including flies, beetles, butterflies, bees, wasps and many others. They play a vital role in Earth’s ecosystem as pests, pest controllers, food for other animals, disease carriers and pollinators.